The ex-Celtic and Cork City player is 36. Liam Miller playing for Ireland against Serbia. 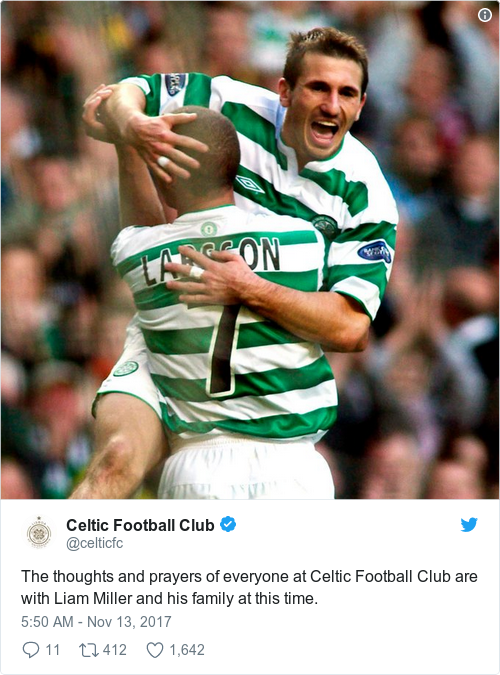 FORMER CELTIC AND Manchester United midfielder Liam Miller is receiving treatment for cancer. The 36-year-old also played for Leeds, Sunderland, Queens Park Rangers and Cork City. He has been based in North America, having most recently played for the Willmington Hammerheads. Miller was capped 21 times by Ireland after coming to prominence under Martin O’Neill at Celtic, before joining Manchester United as a 24-year-old in 2004. Email “Former Irish international Liam Miller receiving treatment for cancer”. Feedback on “Former Irish international Liam Miller receiving treatment for cancer”.